In all sports, there are certain unsung heros who’s contributions go without mention, but are worthy of account. The story of Yojiro Terada may well be the least known, greatest hero of Japanese motorsports. Yojiro Terada was born in 1947 without much memories of his father, and his mother raised him to be the most unrelenting of men. He never had money to start anything in his youthful years, but always aspired to be a great sportsman someday. In his early teens, for his birthday, he was gifted a ticket to go see the Grand Japan Racing Series event at Suzuka Circuit, where he witnessed for the first time in his life, Japan’s most advanced touring car endurance race, consisting of the then-all-mighty Skyline PGC10 running the pace with the Porsche 906, and Savannas screaming along the main straights. His life changed forever on that day, and since then, immediately started to aspire and achieve his dreams as a race car driver. Holding 3 jobs and being an apprentice of a local race shop, he earned his way to driving a Honda Sports 600 in 1969 at a local race. 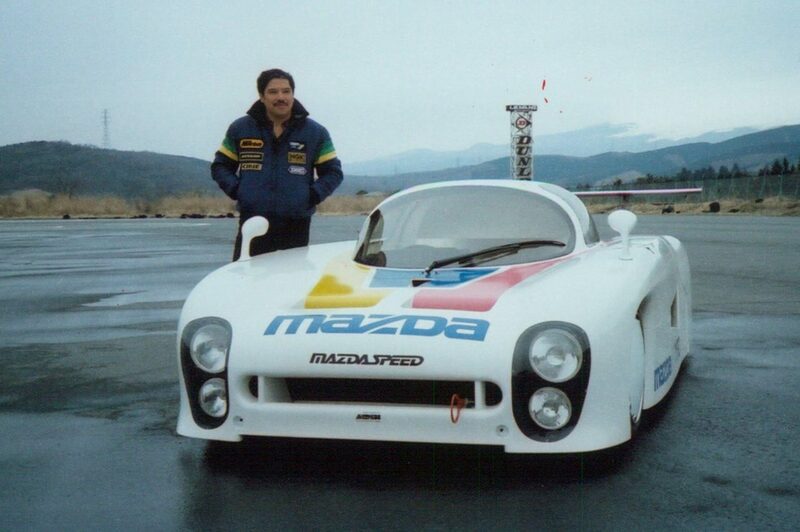 Within a few years, by age 24, he amassed enough grassroots trophies to earn a seat at Mazda as a test racing engineer. He set his sights higher though and never satisfied with his grassroots cups, and saved all his money and scoured all over Japan looking for a way to personally enter the 24 Hours of LeMans as a privateer using the Savanna RX4 he was using at Mazda as a test car. In 1974, him and his 3 friends went out to France with his car, and was absolutely overwhelmed by his ignorance up to that day, when he witnessed the world’s manufacturers were out in full force. His team consisted of a rental car as support, his home-brew MC74, an RX7 Prototype, and 2 suitcases with few bagged lunches. His first attempt failed miserably with food poisoning from local deli-sourced sandwiches he bought 2 days ago. And his co-drivers busted the transmission on the first 8 hours, falling many laps behind till they croaked on the side of the road. But he tried and tried again, and went back every year slightly better than the last. 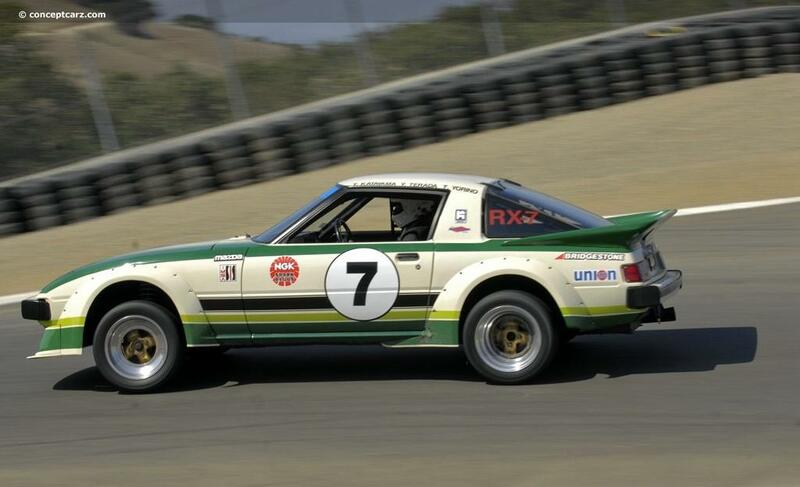 He did this well into the 1980’s when Mazda finally backed him up with a fully prepared RX7 Silhouette Formula spec car and a small crew. He was still insignificant in the overall scheme of things, as a privateer entry. 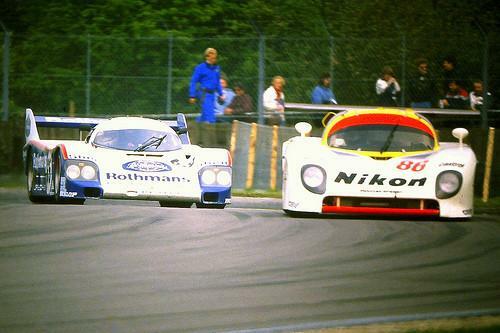 The 1984 was when he finally finished the 24 hours…but even that without a battle. Nothing close to winning but at LeMans, even finishing the race within qualifying number of laps to be included in position grid was a goal in itself. His RX7 overheated and pulled to the side of the Mulsanne. He gave it a deep breath of contemplation as he sat for a few minutes there. Yojiro remembered an old story of Mercedes Team that one can rejoin a race, if as long as the car can restart on it’s own power, and get to service pits or finish. 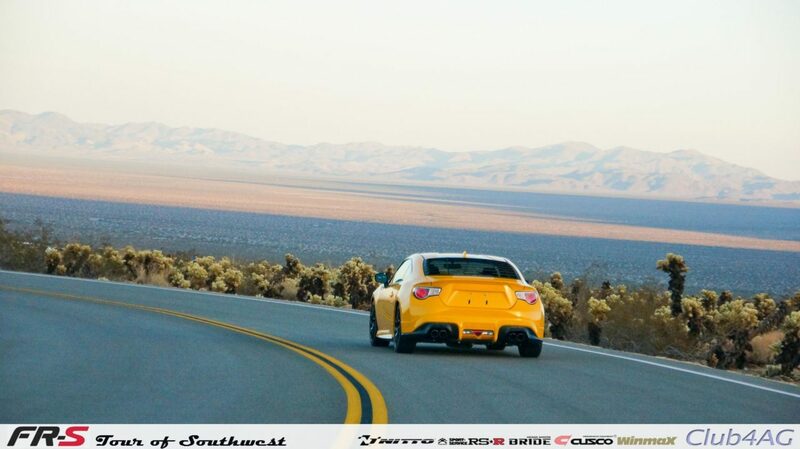 He waited on the side of the road with shattered apex seals, and missing 1st and 4th gear. 80 minutes past and it was 10 minutes to the end of the 24 hours, he prayed to every gods and goddess he knew by name, and half the key… Closing his eyes, he took a deep breath and turned the key to crank the dying rotary. Magically the rotary coughed to spin with complete disarray but it did keep spinning… he let out the clutch and the RX7 stumbled down the rest of the Mulsanne, to receive the checkered flag! Bursting in tears, but he was now determined that next task is winning, if even it took the rest of his life. 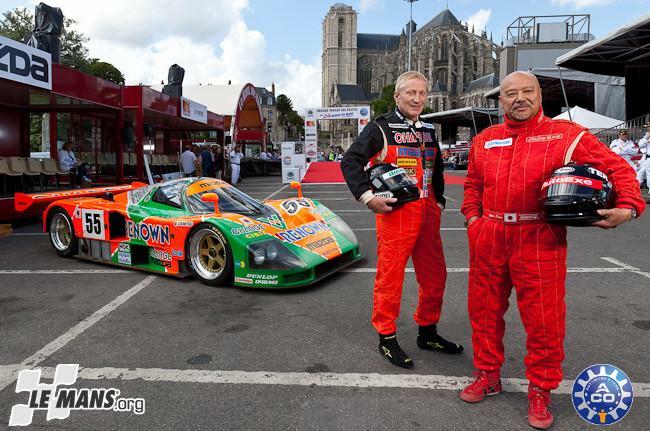 Over the course of next several years, he did race in Daytona, Sebring, and Spa Francorchamps and even took home a trophy from Belgium, but the LaSarthe city of LeMans never was kind to him in all his attempts. In the fall of 1990, Mazda was quickly falling into a financial crisis, with Ford about to drop their stakes, and unleash the company to a sure bankruptcy. The lead engineers at Mazda were about to have the positions eliminated and executives about to be reassigned. Terada charged into the board room on the evening of a random conference and presented an idea. 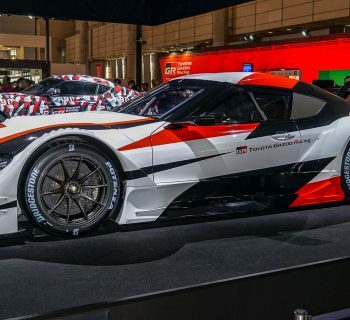 A rash idea that he will take charge of the prototype called the 787 that evolved from the failed 767 racecar that was campaigned in Japan for the past 2 years. 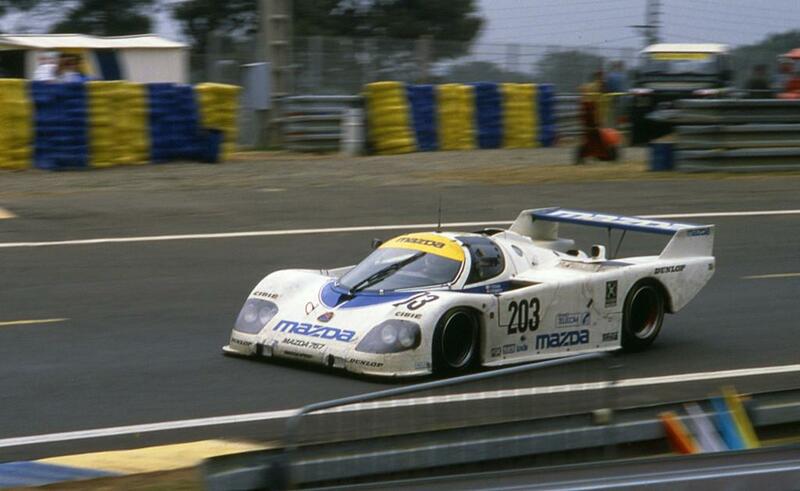 And that it will take Mazda to the world’s highest peaks of notoriety by winning the LeMans. Executives thought of him as insanity let loose. But the few of the remaining 47 Ronins of the original Rotary Development team from the 60’s shed tears at a Yakitori bar and over a bottle of sake, they all colluded to secretly supply him with the last of what the R&D department had for a secret project. This was the start of the 787 LeMans project. Skipping the details of corporate matters, time went by and the summer of 1991 came around. Renown, a undergarment firm known for nylon and carbon fiber composites was secretly developing carbon pads for the Brembo brakes, an idea that never was proven on endurance. Terada by this time, had convinced the entirety of Mazda that this was the last ditch marketing for Mazda to make the turnaround for investors, or fade away in financial failure. Nigel Stroud was brought in to re-skin the 767 to the beautiful 787 that we know today, and enhanced the shapes based on the new parts and re-tubbed the main structure with carbon Kevlar, and tossed the aluminum chassis aside. 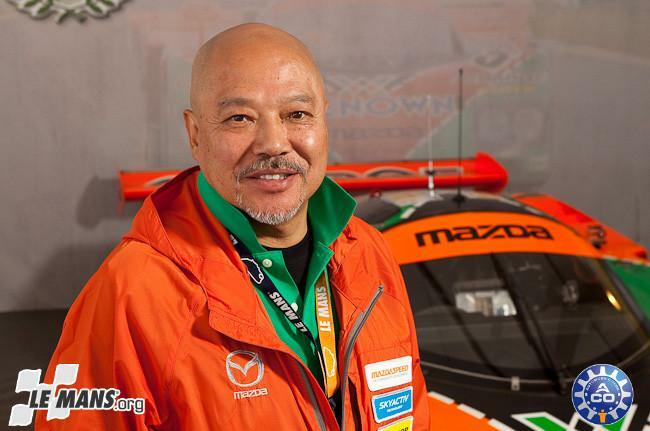 With the pair of 787B, and revised 787 as backup arriving in France, and going well into the shakedown and practice, Terada came to the team manager of Mazda. He sat down in tears but presented that his lap times, and knowing how grueling the race will be more than anyone, and considering the gravity of the race attempt… Terada gave his seat of the most potent 787B to the faster Bertrand Gachot, and swapped his role to the back up car. The crew called the car back in with 5 hours in the game. They reprogrammed and configured the car to run 0.7 BAR more boost, untested, and boldly, carefully… The R26B four rotor took on another character, and charged at the Mercedes C11, closing more than 11 seconds per lap. 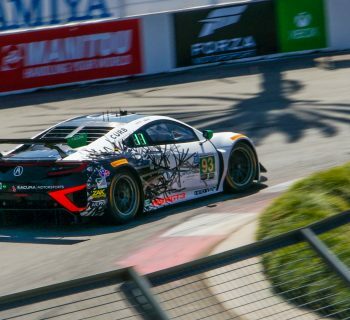 This pace was not enough to catch the Mercedes but they kept the charge. With 3 hours and 12 minutes left, the Mercedes blew the engine pushing harder than planned to run away from the Mazda. The next moment the 787B became the lead car, never letting the pace down as they continued to spread the gap over the Jaguars behind them, just to show them the power of Mazda and Hiroshima. All three of the Mazda 787B/787 finished the race that day. Johnny Herbert taking the checker in first place, and putting the Orange-Green Mazda 787B on the cover of every magazine in the world. 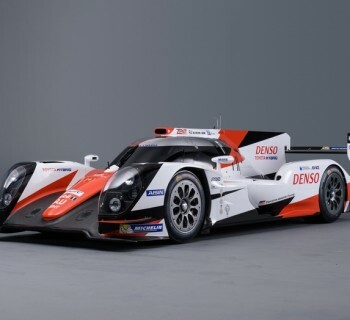 Terada finally, was a man instrumental for winning the LeMans. Despite not being part of the lead car tag team, he was awarded as the most valuable member by everyone at Mazda Team LeMans. Back in Hiroshima, and rest of Japan, though Mr. Yojiro Terada’s name rarely makes news, and such is how Japanese corporate culture is. But today, anyone who is a rotary fan, simply must worship Yojiro-san. He saved Mazda from behind the black curtains, and he breathed passion into a company in misery. His actions caused the greatest racing operation ever undertaken by the Japanese, and his legacy continued to the day he retired from racing at LeMans in 2008. 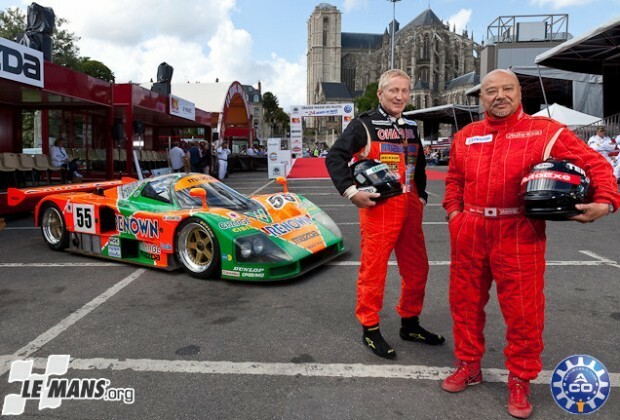 He raced a total of 28 LeMans from 1979 to 2008. He teaches a racing school for younger drivers today, and since 2013, he has raised funds in a NPO and has escorted Children from quake-torn Tohoku Region to witness LeMans, in hopes that some of them might become inspired in the same way he was in his teen.